London - Chris Coleman quit as Wales manager on Friday to take over at English Championship club Sunderland after he failed to steer his country to the World Cup. 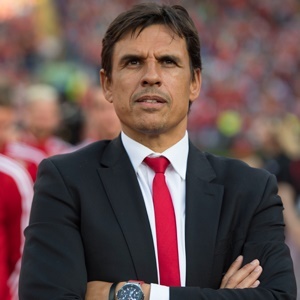 Coleman, who led a Gareth Bale-inspired Wales to the semi-finals of Euro 2016, will be given the job of lifting Sunderland off the bottom of the table and ultimately winning promotion back to the Premier League. His future with Wales was in doubt from the moment they failed to qualify for Russia 2018. Jonathan Ford, Chief Executive of the Football Association of Wales, said: "We are extremely disappointed to see Chris' tenure as Wales manager come to an end. "The FAW and Wales as a nation will be eternally grateful for the job he has done over the last six years. "We wish Chris the very best of luck for the future as he returns to club management, a desire for which he has always been honest and open about." Sunderland sacked Simon Grayson at the end of October and a number of candidates are believed to have distanced themselves from the job at the Stadium of Light. Sources at the club have told Britain's Press Association that Coleman is the only man to have been offered the post despite speculation that Northern Ireland boss Michael O'Neill turned down the opportunity. Coleman will take over a club hampered by financial constraints and in danger of suffering relegation for the second consecutive season. Despite the size of the task ahead, the lure of a return to club management after five years away proved strong for the 47-year-old former Fulham boss. He became Wales manager in January 2012 following the tragic death of Gary Speed and built a team around Real Madrid winger Bale that shocked Europe's elite nations to reach the last four at Euro 2016 in France.